Los Angeles, CA—In this part of the world where the Second Amendment is redundantly denounced people fall victim to all manner of assaults. When people refuse to be victims and fight for their lives the Criminal Justice System sometimes takes on an evil role. We must begin with the players in the criminal justice system. They are all lawyers. Over the last four decades I’ve met and worked with a great deal of these lawyers. Only a tiny percentage was ever soldiers, cops or any kind of combatants. They usually have zero firearms experience beyond watching a Hollywood created shooting. Specifically, that scene where a person fires a gun at another causing the hapless victim to fly backwards over a car and then through a plate glass window. Nearly all lawyers are gun rights hating liberals that simply don’t understand that guns save lives. They’ve been brainwashed their whole lives and during their formal education. Lawyers are by nature intellectual bookworms that have avoided always violence or being around violent people outside their law practices. Most lawyers come from upscale families and have enjoyed living in safe communities and have never been confronted by criminal assault or even a schoolyard brawl. Because of their positions in the Criminal Justice System these lawyers delude themselves into thinking they’re experts on the violence they sort out in courtrooms. 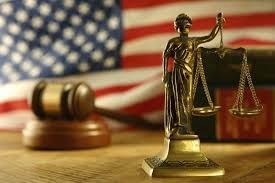 Frankly lawyers are far too often the blind leading the blind on cases where justifiable deadly force is involved. Most shooting for example happen within seconds, at arms length and are not caught on tape. Twisting bodies moving at breakneck speed, reflexes and fear makes understanding exactly what happened sometimes nearly impossible. When you add the lies of the participants, witnesses and others falsely claiming to have seen the incident getting to the truth is nearly impossible. I found that even the victim’s that succeed in surviving a deadly attack by using deadly force often lie to police in order to exaggerate their self-defense claims. Wow! How can these cases be fairly examined, prosecuted or tried? The answer is monumental and life-changing mistakes are the rule rather than the exception. Remember forcing a person that justifiably used deadly force to survive to be tried by a jury inflicts massive punishment even if there is an acquittal. Those accused often lose their life savings, homes, jobs, marriages, friends and reputations while waiting sometimes years to clear their names at a trial. Bankruptcy becomes necessary further victimizing those wrongly accused. I’ve seen decent middle-class people who were acquitted leave jail to begin life again in a homeless shelter! Prosecutors must take responsibility and understand that the accused must be given the benefit of the doubt. They can’t cave into demands by family members or community groups for prosecution. Prosecutors have a very real conflict of interest since the fewer cases they file means a smaller budget and restricting their chance for advancement. Bankrupting those innocents they can’t convict is a vicious and heartbreaking reality. Defense lawyers need to recognize their own ignorance and seek out investigators and experts that can actually reconstruct the violent event. Reflexes, size, strength disparity and coordination of the combatants along with genuine fear and survival instinct all play a part in a violent event and must be weighed. In the end we use the reasonable man standard to determine justification. That includes the reasonable fear involved a violent event. I have to ask why any prosecutor would concern himself or herself with some aggressive fool that lost his life trying to victimize another. That aggression should be the solid evidence of doubt benefiting the accused. Defense lawyers have a duty to put aside their negative views on weapon and self-defense. They must recognize their job to protect the rights of their clients to things like Castle Doctrine and Stand Your Ground Laws. "Those accused often lose their life savings, homes, jobs, marriages, friends and reputations while waiting sometimes years to clear their names at a trial. Bankruptcy becomes necessary further victimizing those wrongly accused. I’ve seen decent middle-class people who were acquitted leave jail to begin life again in a homeless shelter!" This is what spooks many.